When Thadeus “Thad” Mark started Mack Cycle in 1957, the world was a very different place for people with intellectual and developmental disabilities (IDD). The United States was years away from passing the Civil Rights Act of 1964 and even further from passing the Americans with Disabilities Act of 1990. The latter prohibited discrimination against individuals with disabilities in all areas of public life, including jobs, schools, transportation, and all public and private places that are open to the general population. During that time, people with IDD were being institutionalized, completely segregated from the general population. Including people with IDD in everyday society was not yet part of the national conversation. The thought of employing them was a distant idea. Thad had his own experiences with exclusion while growing up in New York City. As the son of Polish immigrants, he was the constant target of discrimination. This deeply affected how he viewed the world and helped define his role in it. “I remember my mom telling my sister and me how my grandpa changed his name to hide his Polish heritage. It makes me sad to think that this resulted from discrimination and bullying,” recalled his granddaughter, Sandy Losada. Those challenging times became the catalyst for how Thad treated others; more importantly, it defined how Mack Cycle would do business. Their doors were open to everyone, no matter who they were. His commitment to welcoming and including everyone paved a path towards Mack Cycle employing a person with intellectual and developmental disabilities, nearly 62 years later. 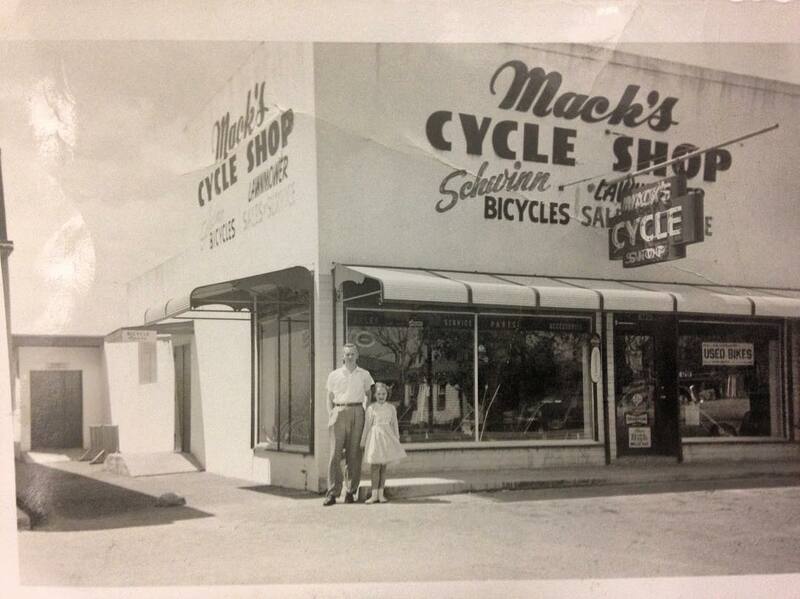 As Mack Cycle grew through the 60’s, 70’s, and 80’s, so did Thad’s three children: Teddy, Tom, and Mary Jane Mark. Their mother, Helena, further fueled the family’s commitment to social equity through her work, facilitating the adoption of children. Thad and Helena’s youngest child, Mary Jane, eventually grew up to take over the family business in the 1980’s. With her parent’s strong values of inclusion and respect towards others instilled in her from a young age, Mary Jane led Mack Cycle into a new era of increased community involvement and philanthropy through the 1990’s and 2000’s. These same values were also passed on to the next generation of Mack Cycle’s leadership: her daughters, Rachel and Sandy. Together, they’ve took their philanthropy to the next level, supporting various causes, but one organization resonated particularly strongly, Best Buddies International. In 2013, Mack Cycle was introduced to Best Buddies. Their mission of providing opportunities for people with intellectual and developmental disabilities (IDD) to be included in the community through friendship, jobs, leadership development, and inclusive living seemed like a natural fit for their business. “We believe that treating everyone in an inclusive and respectful manner helps nurture a stronger, more resilient community in which its members can thrive,” says Mary Jane, emphasizing one of Mack Cycle’s core values. The non-profit’s signature cycling events, the Best Buddies Challenges, were the perfect opportunity to bring Mack Cycle’s values and Best Buddies’ mission together. Sponsoring the Best Buddies Challenge: Miami formally introduced Mack Cycle to the community of people with IDD which Best Buddies serves. Mary Jane felt like she made the right business decision. According to National Core Indicators (NCI), 81% of adults (18+) with developmental disabilities do not have a paid job in the community. This figure didn’t sit well with the leadership at Mack Cycle, so they decided to be a part of the solution. “We have a long tradition of employing members who belong to Miami’s diverse communities. Employing an individual from the Best Buddies Jobs programs was the logical next step in furthering our involvement with the organization and in creating a more inclusive workplace,” said Mary Jane with pride. In January of 2019, Mack Cycle hired Sales Support team member, Santiago, through the Best Buddies Jobs program. This made their commitment to inclusion more tangible. He’s the first person you see when you walk into their store. “His welcoming smile and positive attitude immediately change the way our customers interact with the rest of our staff,” said Sandy. “Santiago has also changed the way our staff interacts with each other. Our store is more vibrant when he’s around. He reminds each one of us to focus on the individual ” His contribution to Mack Cycle is felt all through the business. Mack Cycle is committed to inclusion in the workplace, and its CEO, Mary Jane, hopes to inspire more businesses to take part in the Best Buddies Jobs program. 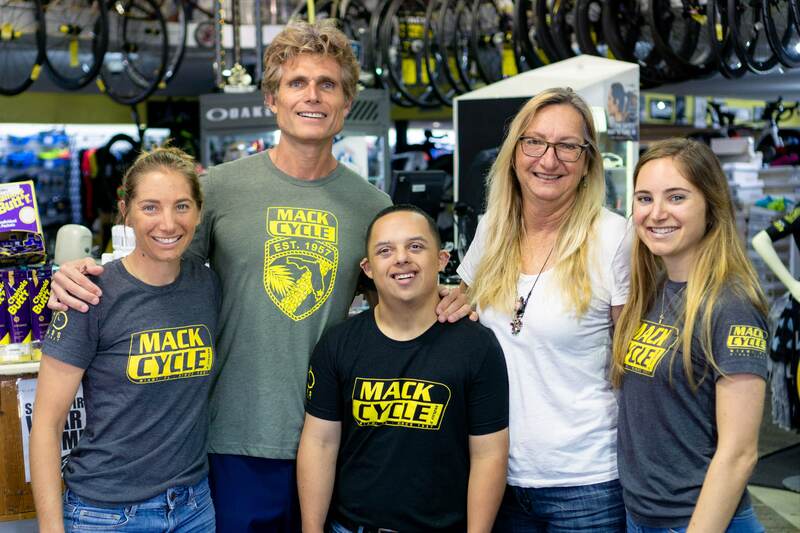 To celebrate this partnership, Mack Cycle will be donating 20% of their online and in-store proceeds to Best Buddies during the month of April. To learn more about the Best Buddies Jobs program, or to hire a person with intellectual and developmental disabilities, visit bestbuddies.org/jobs.